By now, you’re probably familiar with SongFancy’s 5 in 5 Song Challenge. 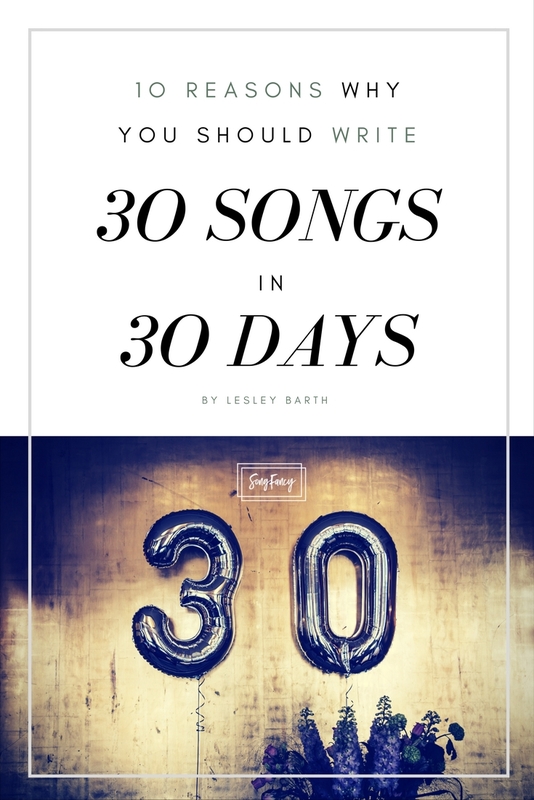 Meet Lesley Barth – she participated in a 5 and 5 and decided to kick it up a notch: by writing 30 songs in 30 days. Here’s what Lesley learned during the experiment, and why she recommends all songwriters give it a go. In July of 2017, to celebrate turning 30, I wrote 30 songs in 30 days, sharing them with fans and friends nightly on my Facebook page. 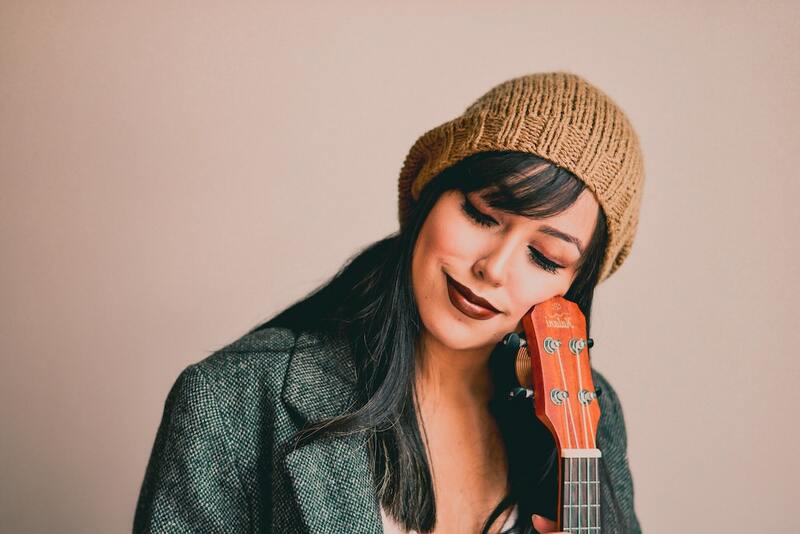 It was a bit of a last-minute decision, made in the fever dreams of “I’m-about-to-turn-thirty-omg-where-did-this-decade-go,” but I’m so, so grateful I took the leap – my songwriting improved drastically because of it. I dubbed it the “30/30/30 Project“, and it was a really rewarding experience. I did 8 co-writes that month, and wrote the other 22 on my own with my piano, guitar, or ukulele (one time, I even worked it up with a full-band – including some timpani!). I wrote on the subway, at the dinner table, on my couch, in my bed, on a bus, at friend’s houses – EVERYWHERE. It was not without it’s challenges, though: I got pretty sick halfway through, and had to pause the challenge for about a week, but given that I wasn’t do ANYTHING those days, I still feel comfortable claiming the 30/30/30 mantle. I’ve put out an EP and an album (that some people said nice stuff about! ), and have written hundreds of songs over the years. But I learned more about the craft and art of songwriting in those 30 days than I had in the last 5 years combined. I learned so much, in fact, that I would recommend it to anyone looking to improve their songwriting in 2018. 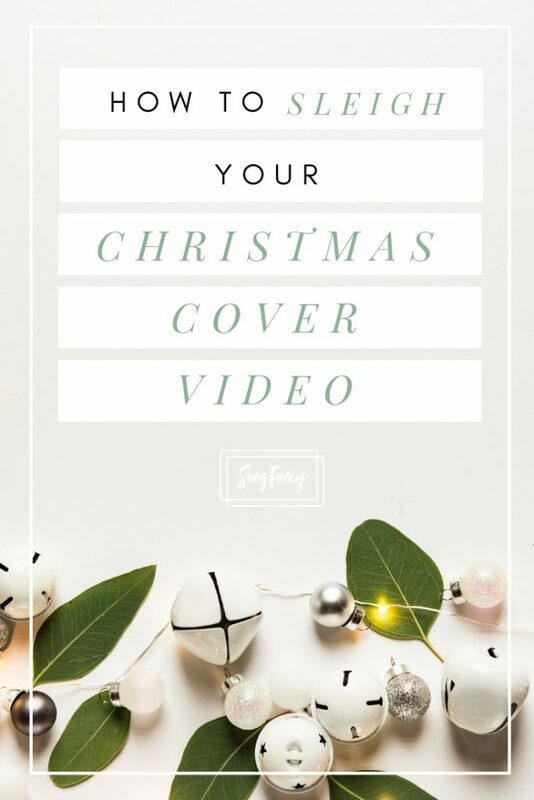 I know it might sound a little crazy, but I really believe it’s more doable than you might think (I didn’t fully produce these songs, just did rough video demos, sometimes with multiple tracks using the Acapella app – so fun for songwriting or covers!) and wanted to explain why I think YOU (yes, YOU!) might want to try it to set your year up for success. I wrote on the subway, at the dinner table, on my couch, in my bed, on a bus, at friend’s houses – EVERYWHERE. 1. 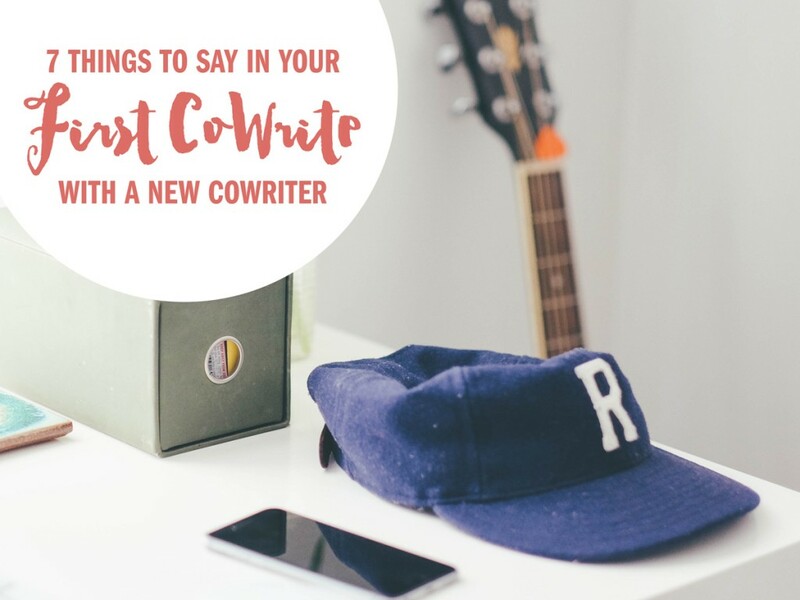 You want to do more cowriting. Of the 30 songs I did, 8 were co-writes (and it would have been more if it weren’t for scheduling challenges). Writing with other people (and maybe drinking a liiiiiiitle wine…) really broke up the intensity of sitting alone at my keyboard or with my guitar at 8pm at night knowing I had a few hours to finish a song. And of course, you learn a great deal working with others whose strengths are different, and your songwriting is richer for it. I’m much clearer on what I bring to the table in co-writes and where I can use support from a co-writer, and of course, that informs my solo writing. 2. You want to stretch yourself stylistically. 3. You are a perfectionist. Perfectionism can be a great tool when it’s harnessed appropriately. When you are creating, however, is NOT an appropriate time. Stop judging yourself when you are in creation mode – let the ideas flow. I learned very quickly into this challenge that I could not spend 2-3 hours a night writing a song. Some nights, yes (especially if they were fun co-writes with friends), but sometimes I just needed to crank one out in the free 15 minutes I had between meetings and dinner. Some nights the last thing I wanted to do was write a song (especially around song 25 or so…), and so perfectionism had to go out the damn window! 4. You struggle to finish things. Welcome to the club! Not finishing things can often be a symptom of perfectionism, so being forced to FINISH on a daily basis is going to re-direct your perfectionist tendencies to a better metric: quantity of songs, not quality. If you focus on quantity, I ASSURE you the quality will improve more markedly then if you focus on quality alone. 5. You are REALLY critical with yourself when writing. While fine-tuning your editing is a critical part of maturing as a songwriter, a constant critical voice sure does not make songwriting fun. And you know what humans really don’t like – and avoid at all costs? Things that aren’t fun. If you’re not having fun while writing songs, no WONDER you don’t do it as often as you should! If you’re not having fun while writing songs, no WONDER you don’t do it as often as you should! 6. You have VERY little free time. If you have very little free time, and you want to be productive, it’s just basic math – you are going to have to learn to be more EFFICIENT and resourceful in your time management. 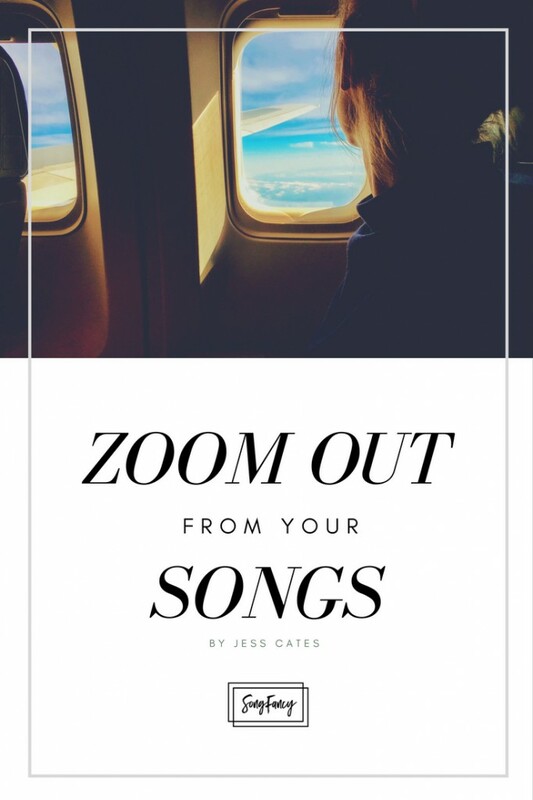 I was working a full-time job and playing gigs in the evening while doing the 30/30/30 Project, so I learned how to fit songwriting into all the nooks and crannies of my day – from subway trips, to lunch breaks, to singing into my phone on walks. Having something I HAD to do (and people who would know if I hadn’t done it) made me realize how much time I had that I simply wasn’t using very well. 7. You need some new songs to bring into the studio/pitch to artists! Of the 30 songs I wrote, I really like nearly half of them, and plan on releasing several of those over next year. I don’t know that I would have necessarily written them if it weren’t for this challenge, and I think some are the best things I’ve ever written. Quite few are actually favorites in my live set now! Whether recording your own or pitching to other artists, it’s so much more fun to pick your best 10 songs from a batch of 70 then from a batch of 13. 8. You struggle with consistency. As the kids say, “it me.” Discipline has not historically been my strong suit, but this challenge taught me the power of 1) consistency and 2) public accountability. If I tell people I’m going to do something, I’m such a people-pleaser that I HAVE TO FOLLOW THROUGH. And following through consistently with posting these videos made me realize how much a little work each day can add up to over a month – yeah, sometimes it took an hour or two to churn out the song (sometimes, towards the end, AHEM, it took 5-10 minutes), but that’s doable. At the end of 30 days, I had 30 brand new songs, quite a few of which are now audience favorites in my live set. 9. You want to become a smarter songwriter. Before this challenge, I didn’t know how to diagnose the problems with songs. I could speak in general terms – “this verse needs to be rewritten” or “the chorus doesn’t work.” But now I feel like not only do I know how to determine what is wrong, but I know how to describe it to other people – helpful for whether I’m writing alone or not. 10. You want to become a better songwriter. Not coming out a better songwriter after 30 days of consistent practice would be like not running a faster 5k after a month of running 5k’s. Don’t make becoming a better songwriter more complicated than it already is – work at it, and you will improve – pretty drastically. Want to try a songwriting challenge, but not ready for the big 30? Sign up for the 5 in 5 Song Challenge! Feeling like you could use a little creative accountability? Save your seat for the next 5 in 5 Song Challenge and write 5 songs in 5 days – we’ll write 5 songs in 5 days, inside a private group of other amazing SongFancy writers. The group keeps you accountable, while you kick your bad habits out of the writing room and fall in love with the process all over again!